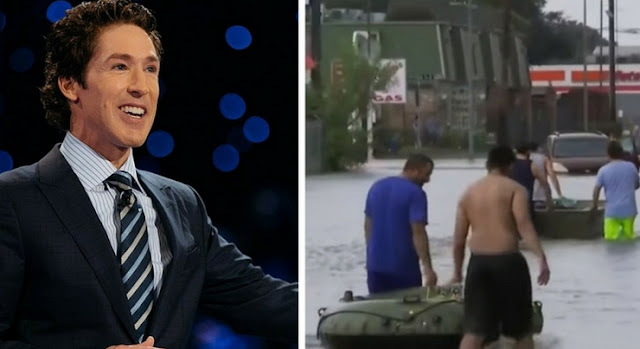 Pastor Joel Osteen of Lakewood Church yesterday faced barrage of criticism from Houston residents for allegedly shutting the church on Hurricane Harvey victims. The church located in Houston which has been hit by the hurricane, had announced cancellation on its services for Saturday & Sunday, August 26 & 27 respectively due to the weather impact of the storm. 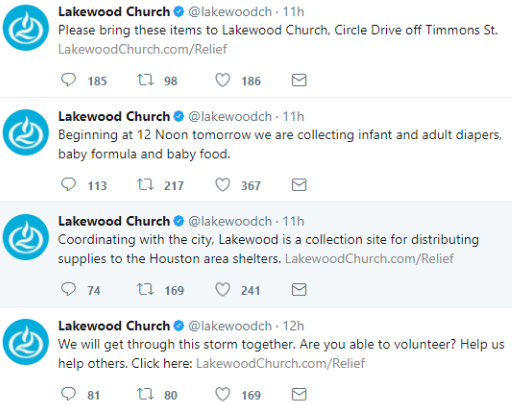 Joel Osteen has however debunked the report that Lakewood closed its doors on victims. He stated that the church is opened and will continue to be a major distribution center for those in need. 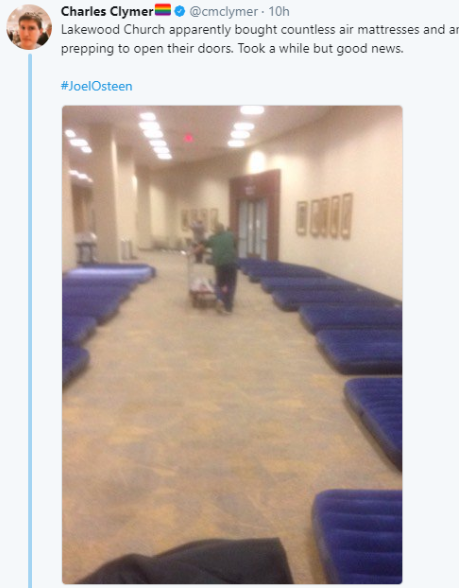 Pastor Osteen added that the church is prepared to house victims once shelters reached capacity. Why do you have to wait until shelter reaches its full capacity before you can help hurricane victims? Indirectly this guy is telling the needy that Church is not meant for refugees during the storm crisis like this. This is the guy who lives in $10 million dollars house with net worth of $70 million dollars. He doesn’t like to accep displaced people but he can open the door on Sunday to collect tithe. Only God knows who truly serves him. Any clergy man or True Gods ambassador should never get carried away with worldly materials. Some of our men of God nowadays change their attitude when it comes to giving back to people what they collected from them.